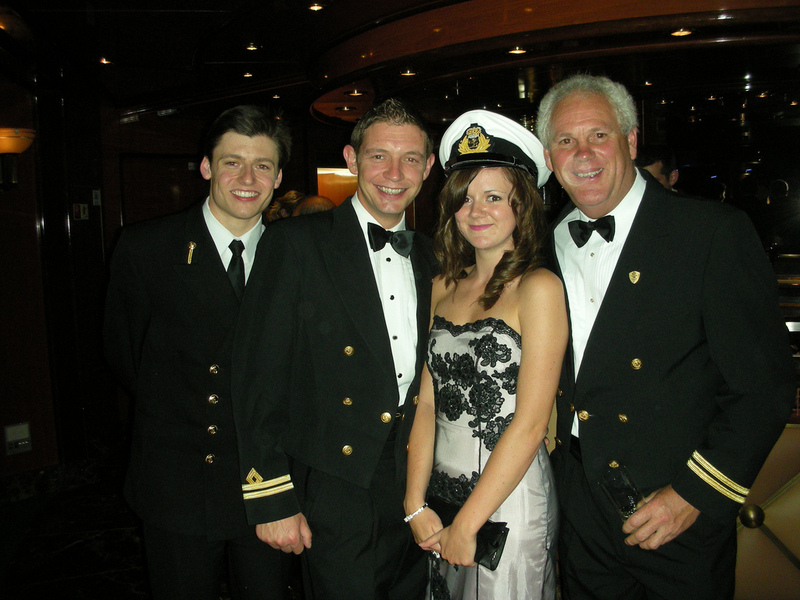 I first started cruising when I was 13 months old, and as a family we always cruised together as regulars on P&O. As mum (Jane) was in the cruise industry I would go along to ship visits and functions with her in school holidays, weekends or when I was home from my travels. I have been very lucky to visit many ships, and also accompany mum to the naming of P&O’s Adonia and Cunard’s Queen Elizabeth, which is where I met my boyfriend David. At the start of 2011 I got my dream job working as a Voyage Sales Specialist on board Cunard’s Queen Elizabeth. I had applied for P&O as this is what I already had a large product knowledge in, but a position had opened up with Cunard, on what I didn’t know at the time was Queen Elizabeth. Of course I said yes, and the person behind me on the gangway was David whom I had met earier at the Naming Celebrations, who was joining the same day. It was fate! Cruising has always been a big part of my life, even when I was little I was telling everyone I could about cruises, persuading my teachers to trade in their package holiday to cruise the Mediterranean, bringing my friends along with me to ship visits. I still enjoy finding people their perfect cruise or to help them celebrate a special occasion or plan a big surprise! I have excellent first hand knowledge on lots of ports of call. In the 2 years I spent with Cunard I was very lucky to cruise for almost every itinerary that Cunard has to offer, as well as sample many of the tours. so let me assit in finding the perfect cruise for you. Now in my retirement from voyage sales I live in Cornwall with David and get to visit him on board the ships when I can. Plus, I get to work with my mum Jane, to help people fall in love with cruising as much as we have.